One thing my husband and I make a point to do when we travel to a new country is find out what the locals consider the “national drink” or something that is specific and unique to that region and that would be Peruvian Pisco Sour. Sometimes we have to ask around to learn what it is, but we discovered pisco sours very quickly upon arrival in Cusco, Peru. They were served in every pub and restaurant we went to, immediately and proudly touted to us as the national drink of Peru. Although it’s made with ice, it doesn’t come off as a “summery” drink for hot weather. We were in Peru during their winter, in June, when it was quite chilly, and found it perfectly appropriate. Pisco is a clear brandy liquor made from distilling grapes. The grapes were brought over to Peru by the Spanish in the 1500s, as they began setting up their missionaries and needed to make wine to consecrate their holy communion rituals. Over time, the grapes have acquired their own particular flavors and properties unique to the particular soil and climate of the region they’re grown in. The production of pisco took off in the 1600s and eventually export of pisco heavily overshadowed that of wine. It became popular on the west coast of America in the late 1800s, and several famous authors, most notably Rudyard Kipling, have waxed poetic on its divine flavor and bullish kick. A change in the political climate and agricultural preferences led to a sharp decline in pisco production throughout the 20th century, which is why many people today outside of the pisco producing region have never heard of it. It began gaining a foothold again around the turn of the 21st century. 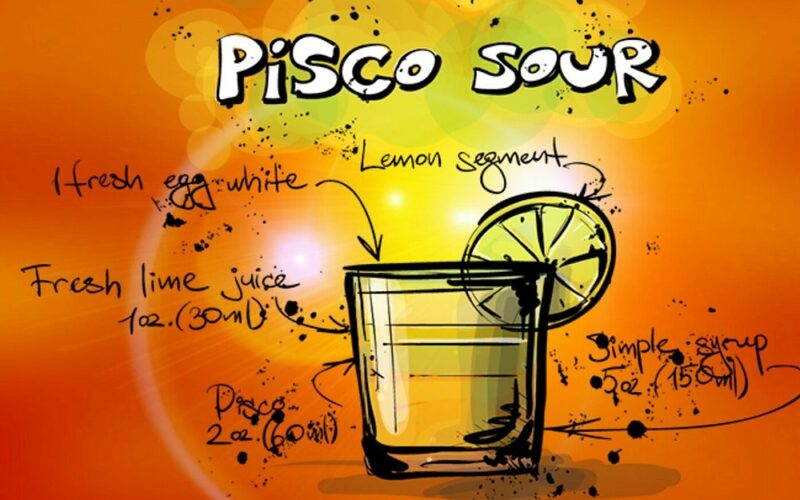 Chile, we learned, has also declared pisco sour their national drink, but their pisco is a very different liquor in both the type of grapes and the production method used. It’s widely known and accepted that pisco has a much longer association with Peru, and much of the international community considers Peru the rightful “owner” of the drink. So to be clear and differentiate from the Chilean version, here we’re learning to make a Peruvian pisco sour. It’s a very simple drink to make. 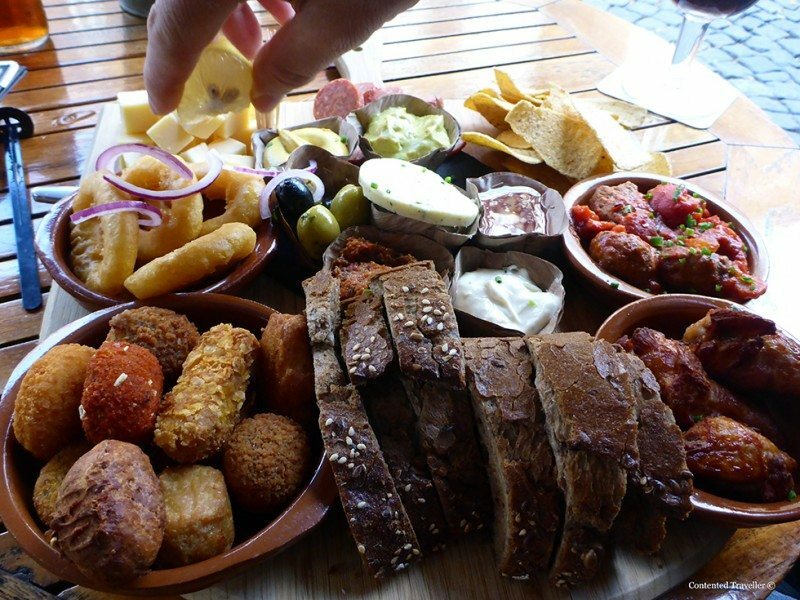 The key to it lies in the specificity and integrity of the ingredients. Accept no substitutes!! First, the pisco itself … without delving into a lengthy description of different types of pisco certified by the Peruvian government, the thing you should look for in a bottle at the liquor store is puro or pure Peruvian pisco made from a single variety of grape, not a blend of different grapes. The most common single grape variety is Quebranta. 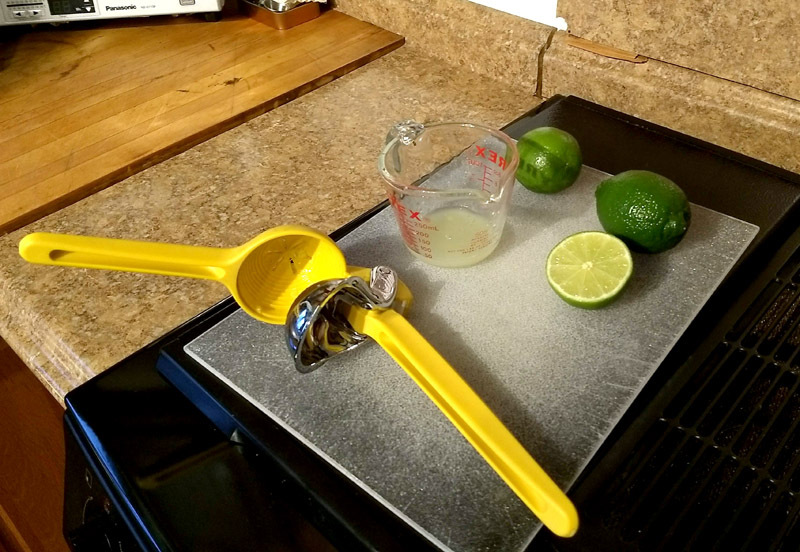 Second, use limes, not lemons. 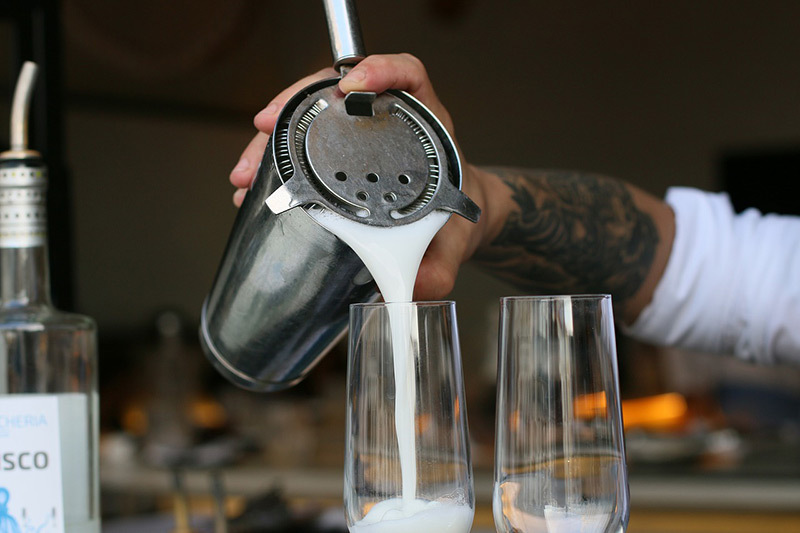 You’ll find debate on this one, but traditionally pisco sours have always been made with lime, and we never encountered a pisco sour using lemon in Peru itself. Some bartenders say that if you are not using specifically limes grown in Peru, you should use key limes. Me, I just pick up whatever’s in the grocery store. Third, don’t short cut and simply put some sugar into the blender. Take the time to make simple syrup, this is important to the texture of the drink. Lastly, ensure you have bought “Angostura” bitters, not any other kind. Not all “aromatic” bitters are the same. I learned this the hard way when I ruined an otherwise perfectly good pisco sour with the wrong bitters! In Peru, we were often served the drink with a pinch of cinnamon on top. 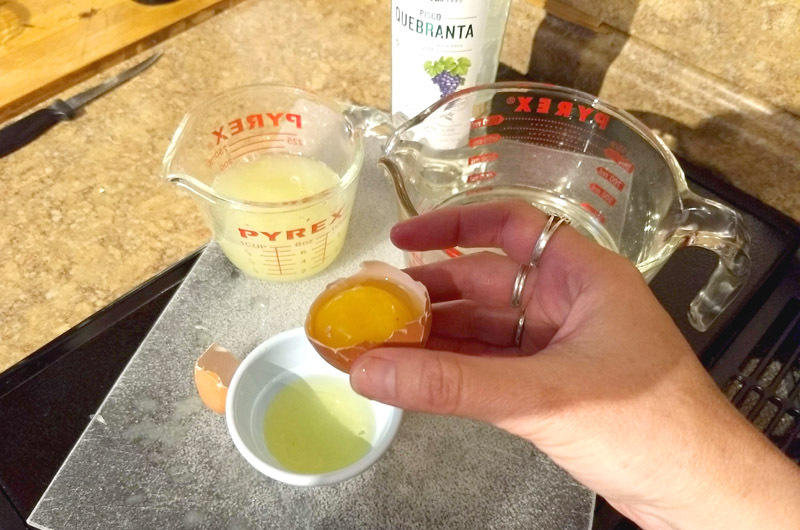 You’ll find some discrepancies in the ratios of ingredients used if you search online, but the most authoritative sources use the one provided here. It’s also the one we decided we like best and it came attached in a card with the first bottle of pisco that we ever bought. This is the ratio for one drink, so just multiply by the number of drinks you’re making. 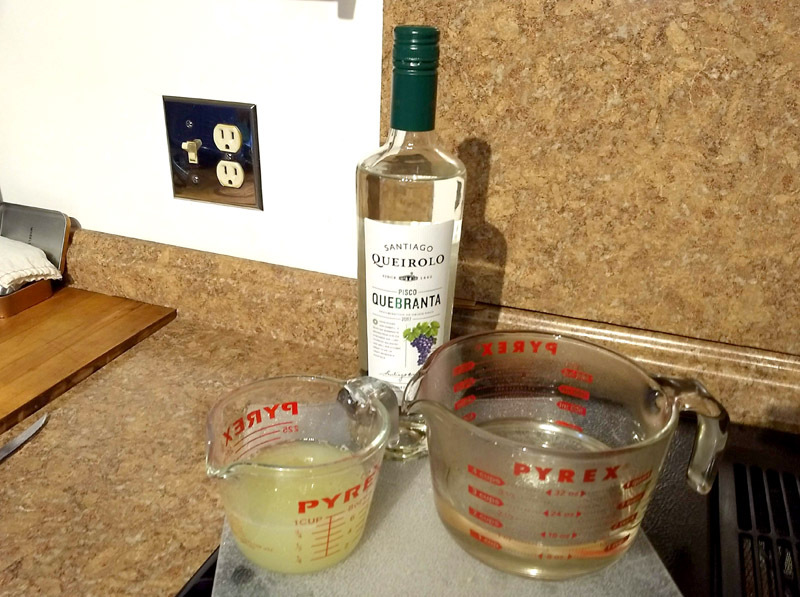 Doubling the recipe can provide a round for four people if you wish to drink conservatively. It’s best to make the syrup ahead of time so it can cool down. Don’t know what a simple syrup is? As the name implies, it’s a super simple mixture of sugar and water in a 1:1 ratio to make a sweet syrup. I usually make at least a 1/2 cup at a time, as it will keep for future use. Stir the sugar into hot water until it starts to dissolve and then heat to a boil, stirring constantly. 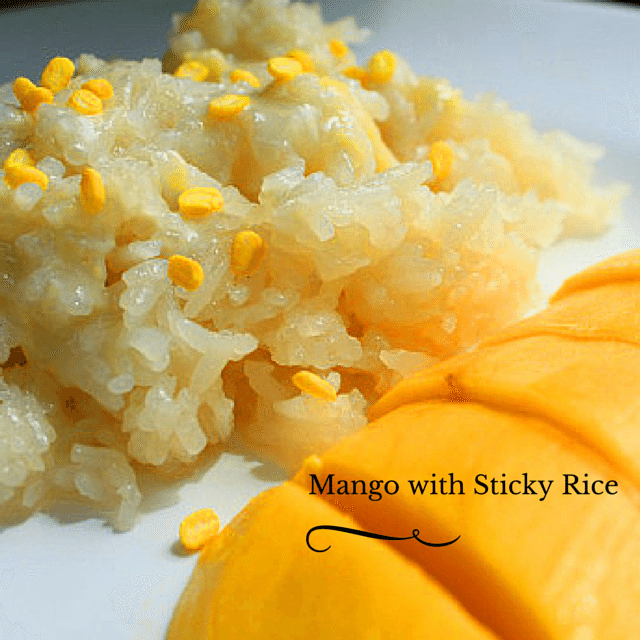 Remove from heat and stir until the sugar is completely dissolved and the liquid is clear. Cool. Next, squeeze your limes and separate your eggs. 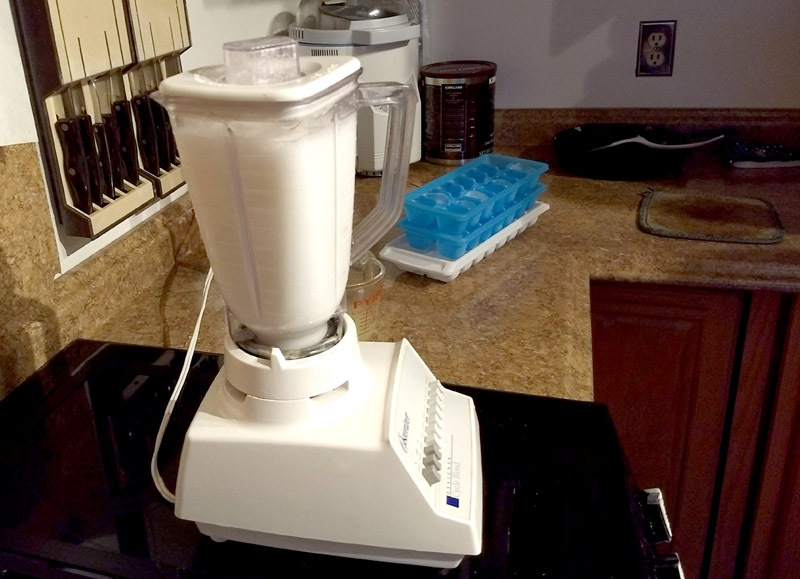 Now just pour the pisco, syrup, lime juice and egg white into the blender, add some ice — I add about four ice cubes per drink — and blend on “high” until you get a nice frothy mixture and the froth is stiff. Pour into a glass and top with either a pinch of cinnamon or a couple splashes of Angostura bitters. Now bottoms up … prosit and salud!